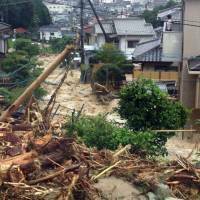 HIROSHIMA - Residents in part of Hiroshima hit by landslides in August 2014 have developed a warning system against disasters caused by heavy rain. Early last month, the system worked during the torrential rains that triggered thousands of landslides and floods throughout western Japan, including Hiroshima. It warned residents to prepare to evacuate 46 minutes earlier than the Hiroshima Municipal Government did on July 6, when the record rainfall began. The system was devised by residents of the Shindate residential complex in Asakita Ward, which was hit by the landslides four years ago. 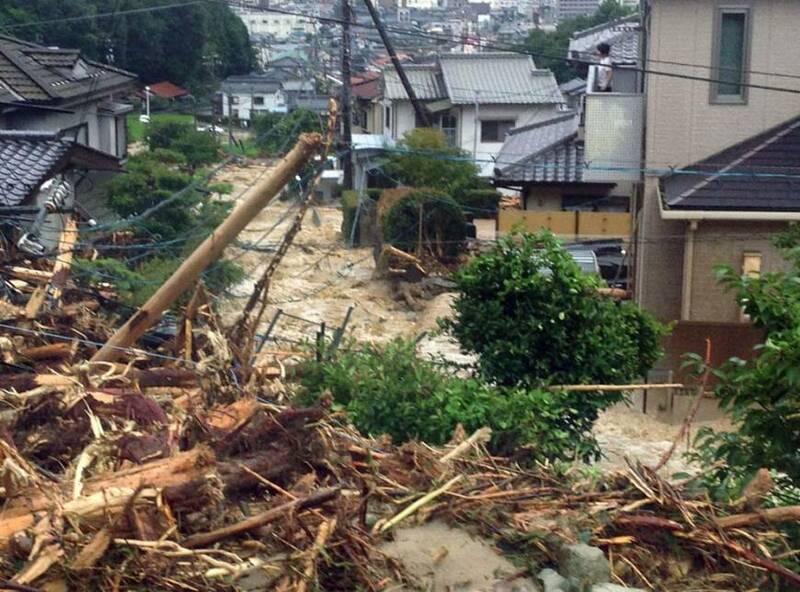 The disaster claimed 77 lives in the city, including three in the complex, where 200 households lived. At the time, a local community association provided residents of the complex with evacuation advisories and related information through landline telephones. But some residents couldn’t be reached because of a blackout. Learning from that lesson, the association installed rain gauges on the premises of the complex on June 2015 so warnings can be sent by email when 10 millimeters of rain is logged over a 10-minute span, 40 mm over an hour, or 80 mm over three hours. In addition, systems engineer Shigehiro Moritsugi, 53, who lives in the complex, developed a computerized safety confirmation system for fellow residents. Registered users can input information on their whereabouts, for example, on the system’s website when disaster strikes. The system also lists those in need of assistance, such as those with disabilities and seniors living alone. The association distributes cards bearing a quick response (QR) code to make it easy to access the website. It also teaches elderly and other residents how to use the safety confirmation and email warning systems. All households in the complex are registered with the safety confirmation system and 60 percent with the warning system. “We want to convey information as quickly as possible to let residents recognize the approach of danger,” said association leader Teruyuki Umeno, 65. The systems have drawn attention from other regions, with inquiries received from resident associations in Shizuoka and Hyogo prefectures.